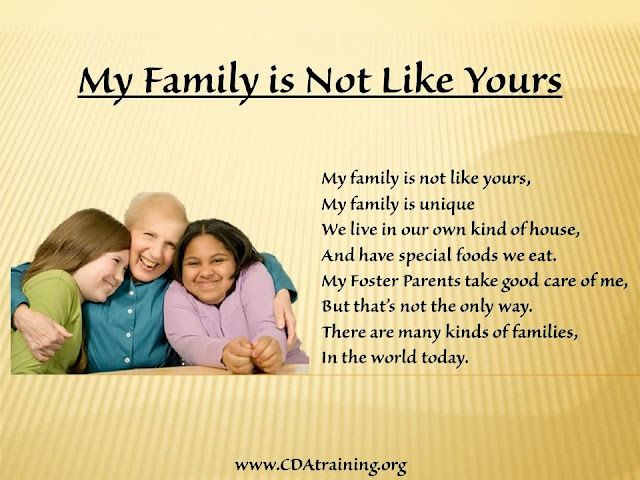 Child Care Basics Resource Blog: My Family is Not Like Yours. 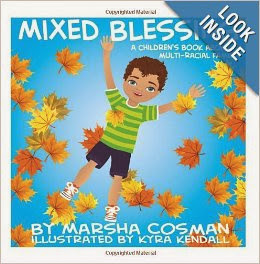 Celebrating Family Diversity. My Family is Not Like Yours. Celebrating Family Diversity. We have created two versions of this rhyme, to illustrate different types of families, Please feel free to edit the poem to suit your students needs. Materials needed: construction paper, paint, scissors, glue, small picture of the child. Directions: Have the children make a hand print on a piece of construction paper. Write the title at the top saying, "NAME’s Family” Cut out feathers. 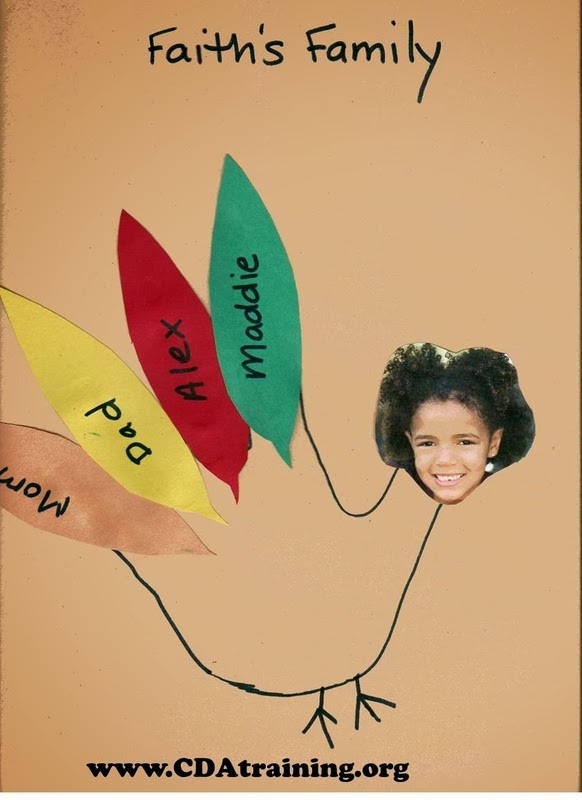 Have the children write the name of each person in their family on a feather and glue to the hand. Glue the child’s picture to the thumb (head of the hand turkey).